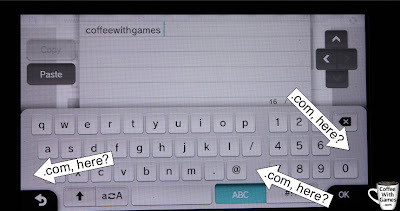 Coffee With Games: Wii U update(s). Five things to be fixed, or improved, but not yet mentioned by Nintendo. Wii U update(s). Five things to be fixed, or improved, but not yet mentioned by Nintendo. Nintendo is set to release the first big Wii U system update next week, with a second big system update planned for the summer. What will this first Wii U system update fix? Well, Nintendo released a video in March showing the update should improve loading times when exiting from Wii U games to the system's main menu. 1) Adds ability to copy/move data between two USB HDDs. 2) Download and install software in the background, while playing games. 3) Download and install updates, even when the system is off. 4) Software updates can automatically start downloading, without having to start the game. 5) Holding the B button when turning the system on, will jump you straight to the Wii U's Wii Mode channel. While these five updates are nice, what are some things that I think should be patched to make the Wii U a better system overall? What are (at least) five things that Nintendo hasn't mentioned the Wii U patch(es) will address, that I think could/should be? Brew yourself some coffee, and let's take a look! 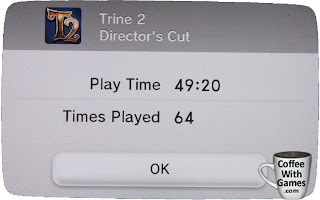 1) Sharing "Daily Log" Data - I could tell you that my Trine 2 "Play Time" is 49:20, and that I have "played" it 64 times. 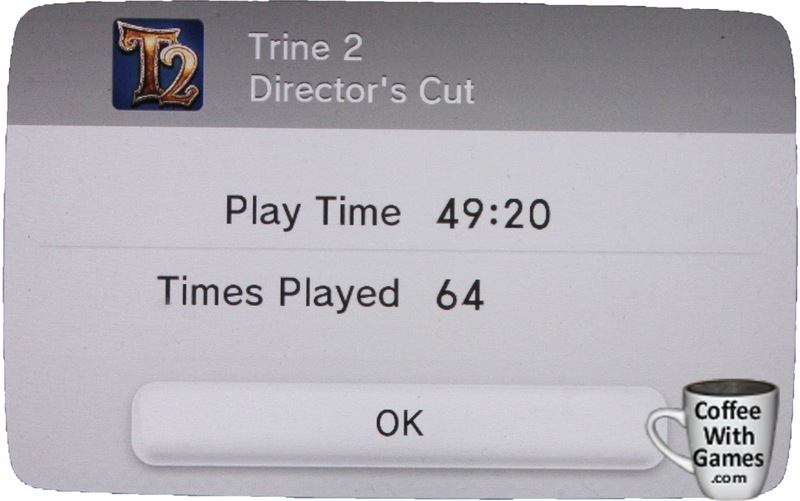 Or, I could show you my Trine 2 Wii U data like the image above. Nintendo doesn't like the Nintendo Channel (and, several other Wii Channels they're getting rid of), but does that mean I shouldn't be able to post my recorded Wii U game-play data to Miiverse? Apparently, yes. While the Wii U tracks how many hours and times you play a game (or, use a particular application) in the Daily Log channel, you can't post that information to Miiverse using the sytem's photo capture option like some games offer. While I doubt Nintendo will introduce a Wii U Nintendo Channel like the Wii has (or, soon to be had), I think it would be nice if Wii U owners could post Daily Log images to Miiverse. It would allow Wii U owners to share their most played/used games and apps during a month, and if a game doesn't provide the number of hours played on the save file, it could be a good way to get an idea of the average hours played for a game. 2) Freezing - Winter is over, but my Wii U console is still freezing. Sure, it's only occasionally, but even as I typed this, it was sitting frozen. I hopped on Assassin's Creed III Monday morning to get my save file stats, and posted them to Miiverse. Upon attempting to exit Miiverse, my Wii U system froze, again. The Wii U system freezing up would not be such a big issue to me, IF the system functioned as it's supposed to function when it freezes. It doesn't though. Still having to unplug my Wii U console when it freezes is annoying (and slightly concerning), when I should be able to simply hold the "Power" button for a few seconds to fix the freezing problem instead. Mr. Iwata did not mention the Wii U freezing issue in the Nintendo Direct a few months back when he mentioned Nintendo was working on improving the loading speeds and he didn't mention it in today's Nintendo Direct, so I'm a little concerned that this issue might not be able to be patched. I really hope I'm wrong, for a number of reasons, but I just find it odd that Nintendo would wait until this patch (or the summer one) to make the Wii U function as it should have when it released. 3) Copy/paste/keyboard options - The 100 character limit posts in Miiverse might be tough to use sometimes when trying to answer a question, or post up some thoughts on a game. One thing that would make this limit not so bad though, would be a simple copy/paste option for text. Let's say you type out your full Miiverse message, and the text gets grayed out that is over the 100 character limit, but you have an option to "copy" some of it. You would simply copy the text over the limit, and post a new comment pasting the additional text to it. I'm surprised the copy/paste option wasn't in the Wii U's original Miiverse OS, because it is an option in the Wii U's Internet Browser. 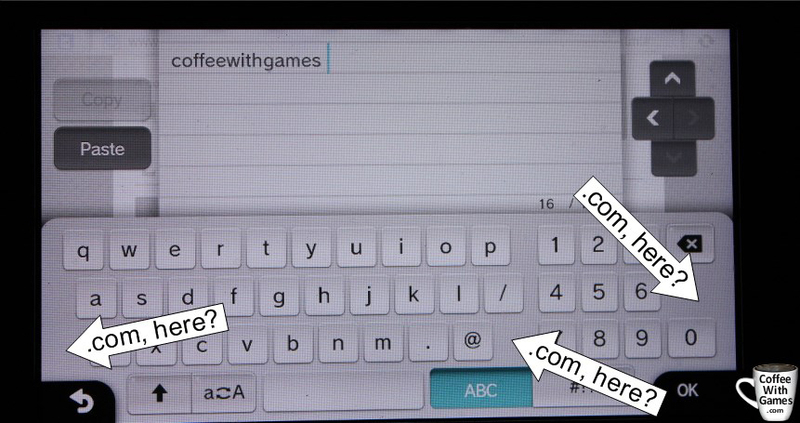 Speaking of the Wii U's Internet Browser, a GamePad keyboard update that would be an improvement I think, would be adding a ".com" button to the Internet Browser keyboard. Sure, it's only a few extra taps on the GamePad, but I think little things like a ".com" button, and perhaps some other keyboard shortcuts, would be appreciated. Nintendo needs to copy/paste the Copy/Paste Browser buttons to Miiverse. 4) The "Energizer" disc drive - I mentioned back in November, in my "Caffeinated Thoughts on the Wii U" post, the freezing issue and the disc drive issue. The disc drive issue, like the freezing issue, still has not been addressed. If you don't know, the Wii U's disc drive is constantly is reading/spinning the game disc when one is in the system. It doesn't matter if you are just using the Wii U for Netflix, Amazon Video, or any other non-game application, if there is a game in the Wii U's disc drive, it is spinning. It's like the Wii U's disc drive is an Energizer Bunny of sorts, in that it just keeps going and going, or spinning and spinning in this situation. I know some Wii owners had disc drive issues, and I received my PlayStation 3 from a friend because the disc drive had stopped working. I really hope that Nintendo updates the Wii U so the disc drive is not constantly reading/spinning the disc, when non-game Wii U applications are being used such as Netflix, Amazon Video, Hulu, or even the Internet Browser. The Wii's disc drive does not constantly spin if a disc is in the system and Netflix or another non-gaming Wii Channel is being used, so I would imagine Nintendo can patch the Wii U for fix the issue. 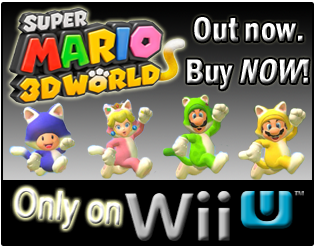 Give yourself these Wii U eShop games, as "gifts"! 5) Gifting Wii U eShop games - Did you know you could give Virtual Console and WiiWare games to other Wii owners as "gifts"? Did you know that you cannot give Wii U eShop games to other Wii U owners as gifts? I think it's odd that Nintendo didn't include the gifting option right from the beginning. 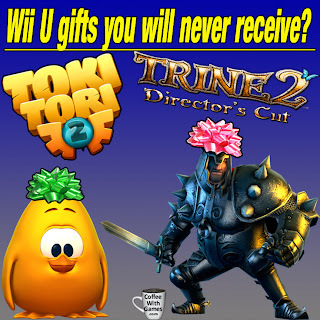 I hope they make "gifting" Wii U eShop titles a new feature, as I do like to give things away from time-to-time on the site, and I can think of a few eShop titles that would be at the top of that list right now: Toki Tori 2 and Trine 2. 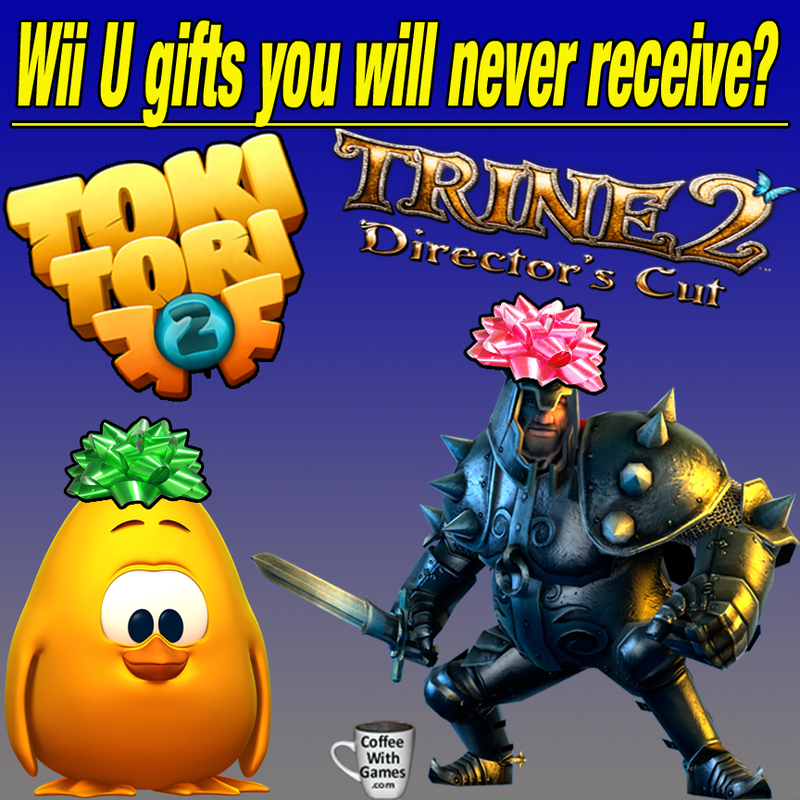 Gift options shown for WiiWare games. One already owned, one not. Are there any other Wii U system improvements you would like to see Nintendo address with the first big system update next week, or perhaps in the update planned for the summer? If you're into programming, is there any reason Nintendo can't address the Wii U's hard reset option (holding the Power button for a few seconds to turn the system off), with a system patch? Like I mentioned above, I just find it odd that has not already been patched. They need to optimize the video chat program and the friends list.... the friends list is an after thought and should be more integrated into the system... as it stands it is completely pointless. I think the Friend Lists might be a bit more functional now, because of the improved loading times...at least going back to the menu after launching it. When you say optimize the video chat program, what do you mean specifically? I have only used it a few times, and thought it worked well (though slower internet connections don't work well with it, we did confirm that). Are you thinking perhaps a video chat app in some games? I'd like to see tracking of Wii titles in the Daily Log and more statistics in it like the 3DS's Activity Log. They need to make it so the Wii Menu recognizes the HDD and can save to it so I can have ALL my WIi virtual console purchases re-downloaded on my Wii Menu (all my import and non-Nintendo system games). Instead I am stuck with 512mb virtual memory or an SD card?!? C'mon Nintendo please fix this. I need the option to split the AV to use HDMI for video and component cable for stereo audio. Right now I have to use only the component cables from my Wii in order to get sound with my picture. My TV is actually a computer monitor with no HDMI output, just DVI. They need to update the Youtube Channel as it randomly quits downloading, even if the internet signal is going strong. Really annoying seeing as how, if I go to the internet browser, Youtube works just fine, as any PC would. Arrgh! I'd like to see in-page searching in the web browser (gameFAQs is a pain without it), and some kind of content search ability in Miiverse, so I'm not at the whims of someone happening to see my question (since I can't look to see if someone else has looked for the same information I want). As for the power button when freezing, it might be that the Wii U is getting stuck in a loop that's being done while servicing an interrupt signal. And if the power button is also interrupt-based, it might not be able to "notice" that the power button is being pressed. But that's just my wild conjecture, as I have no idea how the hardware interfaces are coded. Yeah, with them doing away with the Wii's Nintendo Channel, but bringing over the Virtual Console service to the Wii U, I'm hoping (not betting though) that Nintendo introduces some sort of stat tracking on the Wii U to include the Wii games. With June being when the Nintendo Channel has been announced to be going away, I'm hoping that maybe in the next Wii U update (in June?) that it will introduce these type of features. But, seeing them not addressing the freezing issue just yet, seems a bit odd to me really, so I don't know how they prioritize updates. I personally don't find the HDD to HDD transfer announcement as big news for this one, especially considering that the majority of Wii U owners right now probably don't even have an HDD connected. "Instead I am stuck with 512mb virtual memory or an SD card?!? " I haven't done the Wii to Wii U transfer yet, but does this mean they have a limited amount of storage on the Wii U system for WiiWare and Virtual Console titles already downloaded? That's kind of odd, if that's what I think you're meaning. Thanks for stopping by and leaving the comment/feedback! You're actually the 2nd person this week to mention this. A friend asked me this week if I was using my Wii component cables, because he wants some for his Wii U now so he can use his surround sound system. I think he has some issue (I believe what you're talking about), with the HDMI not working on the surround sound system, but the component/composite cables will? "They need to update the Youtube Channel..."
I actually mentioned the horrid YouTube Channel in my November piece. I use the browser for YouTube pretty much 99% of the time, and I use it quite often with our little ones for videos. I don't know if the YouTube Channel function would be a Nintendo specific update, as much as it would be from YouTube/Google directly to make it more functionaly? Something I just learned today, as I had never tried it before...if you're using YouTube in the browser, you can multitab and be checking emails/other sites on the GamePad, while people are watching the YouTube videos on the TV. I was really glad to learn about that today. It may help some. I do find it odd that the Wii has an option for positioning the images on the screen, in the Wii's main options/menu tab, but the Wii U doesn't. I know it's supposed to automatically recognize and adjust (at least with HDMI), but the ability to make small adjustments that apply to the entire console (Miiverse, eShop, main menu), would be nice to have, instead of having it adjusted for each section. Thanks for the comment and feedback! Let me know if that video I linked helps/doesn't help! "I'd like to see in-page searching in the web browser.."
CONTROL F! I use it all the time when reading/researching stuff. It's funny you mentioned it, because when I learned I could multitab while the kids were watching YouTube videos on the TV, I started cleaning out older emails, and thought that a "shift" or "control" button would be a cool keyboard feature to update. The power button thing is weird, because the console is supposed to function and power off when it is held (it's stated as such in the manual). This is the first console I have had, that the function/feature does not operate as it should. I wonder how the Wii U shipped with that function not operational, and them not addressing it is even more odd to me, because they are talking about the Wii U loading times, HDD to HDD transfer, etc., instead. Thanks for the comment and feedback, and for stopping by! I tried this with my TV, but it doesn't have that option at all. It was purchased in 2008 (probably built in 2007), so no dice. Ah, sorry it didn't work, but thanks for the feedback on it! I think that the Wii Channel needs to disappear entirely. When you put in a Wii disc, it should just launch from the Wii U disc channel/button thing. But more importantly, all Wii virtual console and WiiWare games should be copied to and launched direct from the Wii U menu. Nintendo could put a little 'Wii' logo on them and have a WiiMote activated 'start' button (like launching the Wii menu now) if they are worried people might get confused. And they could still allow people to update their VC games to the new Wii U versions when they arrive. Then there is the lack of a proper account system, but I think others have already covered that topic in the past. And on the digital download topic, one thing that bothers me is Nintendo has never said anything about digital downloads transferring to future systems. I mean, all my Wii downloads are stuck in the Wii menu quarantine right now, so when the next console comes out does that mean that Wii U downloads will be stuck behind a Wii U menu and all the Wii downloads will be incompatible? Like how GameCube disc support disappeared? This puts me off buying new WiiWare titles like Retro City Rampage or even older ones I am interested in like the Konami Rebirth games or Dr Mario. Also I don't believe Nintendo has confirmed yet that ALL Wii VC games will come to the Wii U VC, so what of those titles? Do I not buy the latest Neo Geo VC releases due to the same fear? Basically if I buy digital downloads from Nintendo, I want to KNOW the purchases are forever. Apple can do it with apps from the Apple App Store, when you get a new device they all transfer over no worries, so why not Nintendo? "Also I don't believe Nintendo has confirmed yet that ALL Wii VC games will come to the Wii U VC, so what of those titles?" I'm wondering the same thing about WiiWare titles. They haven't been very specific about how many games will be on the service, and WHEN. If it was simply moving the Virtual Console from Wii to Wii U, it would be all of the games I would imagine, but it doesn't seem like that is the case? "I think that the Wii Channel needs to disappear entirely. 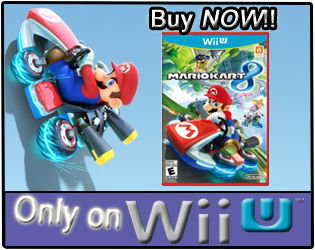 When you put in a Wii disc, it should just launch from the Wii U disc channel/button thing." Yeah, considering they are getting rid of basically every single "Wii" channel (Nintendo Channel, Everybody Votes Channel, Weather, etc. ), I'm not sure what the point of having the Wii Channel still separate is. "Like how GameCube disc support disappeared?" I've been wondering if GameCube support is maybe in the Wii U, but perhaps it's "locked"? Like when Nintendo released the Wii, then said they were thinking about releasing a Wii with a DVD player...but all Wii consoles had a DVD player option in them, just locked away/not activated? On the Apple front with the App Store transfers, I do think that console manufacturer's could learn a good lesson of making buying NEW products easy, and not a huge concern if you're current one gets broken. I agree with all of these coffee. Especially the daily log data, which is getting worse with each new console since the Wii, and the endlessly-spinning disc drive has me worried about the console's long term longevity. I would like to see the Wii backwards compatibility better integrated too, especially for Virtual Console (without extra cost, Nintendo!). And I'd like to see MiiVerse expanded to offer a few improvements in user experience. But yeah, great list. It's good to see Nintendo is at least looking at some of the console's faults. LOL! Our experiment could help them in advertising (video features require SUPER DUPER High Speed Nets!). "...the endlessly-spinning disc drive has me worried about the console's long term longevity." There was a comment on another site that claimed the endlessly-spinning disc drive is not an issue, and it must just be my Wii U. Specifically, that the drive does not spin, unless the game is loaded. I pointed out how to tell it is constantly spinning...not sure if they saw my reply though. I think the comment might have been made from a European Wii U owner, so it would be interesting if Wii Us in Europe don't have this issue. "I would like to see the Wii backwards compatibility better integrated too, especially for Virtual Console (without extra cost, Nintendo!)." I really hope there are more issues that will be addressed with the update next week, that they just didn't talk about today. Sharing log data is a recipe for people to complain about privacy... It would be cool, but I suppose you can always share using Miiverse anyway. "Sharing log data is a recipe for people to complain about privacy... It would be cool, but I suppose you can always share using Miiverse anyway." How would it be a recipe to complain about privacy, if the Wii U users are the ones posting the images though? I'm not sure I follow that, maybe I didn't understand it? Nintendo has been sharing game-play data though, through the Wii's Nintendo Channel for the last 4-5 years. Wii owners I believe have the choice to opt in, or opt out, allowing their data to be collected/shared. All it really does on the Wii is provide a pretty decent "average" that players can expect from a game, from others that have played it before. Other than game-play hours, I wouldn't really expect anything else. "Same can probably be assumed for the disc spinning, though I will say my Wii U doesn't constantly spin discs..."
Could you check that for us? Nintendo advises Wii U owners to remove the discs from the system, I'm assuming because it is constantly spinning. Just hold your hand on the top of the Wii U when the disc is in it, then put your hand on top when the disc isn't in it. The spinning/reading isn't loud on the Wii U in general (definitely not like my aircraft carrier, the PS3 when it gets going with fans and all), so you might not be noticing it? As for the gifting thing, the other comment also mentioned some European Supreme Court judgement that supposedly makes it illegal for a "gifting" option on consoles now...I asked what the case was, because I would be interested to see how it applies, and if the gifting thing could be done regionally (just leaving Europe without that option). Thanks for the comment and feedback, and if you can confirm 100% that your Wii U isn't spinning/reading discs all the time, could you note which apps you are using when you notice the spinning stops? Yeah, the wii mode is limited to a virtual 512mb cage, so it's not able to take up any more than what the wii had. It's kinda weird, but so is Nintendo. I had an SD card anyway so I've just used that. I'm from Australia (same as Tynan, he runs a nice little gaming website called Aussie Gamer) and I can fairly certainly say that the disk drive is not constantly spinning in my wii u. Maybe it is just Europe that has disk drives that aren't constantly spinning (Australia counts as Europe). We can't say Australia counts as Europe without the problem though, because Matt S who commented above is from your neck of the woods as well. The best way to tell is to put a disc in, and launch the browser (or even another eShop game), and be right next to the system. You can hear/feel it when the disc is in the system, then remove the disc and the noise/vibrations are reduced. It's very quiet, so chances are you might have been missing it before? As for Aussie Gamer, I have heard of it, and I think I have visited it a few times in the past (not positive, but I know I have heard of it and seen it around for sure!). Ahh, okay. We also have an SD card we leave in our Wii, with some WiiWare games and demos on it. I should probably upgrade the SD card soon, so it has a bit more memory for the eventual Wii to Wii U transfer (plus, it's pretty old and I don't know how many times it has been opened/read/written). I doubt it has capabilities for GCN discs, as you need it to be able to read smaller discs. Since the Wii and WIi U discs are larger format- it's doubtful Gamecube discs could work in the Wii U and be locked away. Well, the reason I wonder is because the Wii was backwards compatible with the GameCube. The disc size (not capacity) didn't matter for the Wii system. Well, the early ones, before they removed the feature. BUT, the Wii U doesn't have the GameCube controller ports like the Wii does, so it wouldn't really matter anyway. Nintendo actually spent a lot of time making it so that the Wii's original drive could center the Gamecube discs if they were inserted near the center. The solution Apple was going to go with, at the time, amounted to a disc adapter that closed around a smaller disc. They probably didn't put the centering technology in this drive, either. It seems like the Wii U lost some good things that the original Wii had. These are things such as the photo, weather, and news Channels. I also think that the Wii U's interface is generally pretty boring and that it was nicer on the Wii because it didn't just have icons, it had live tiles. "These are things such as the photo, weather, and news Channels." With seeing how services like Netflix are producing their own original content, I'm surprised Nintendo didn't keep those type of channels going on the Wii U, in some fashion. Especially the photo channel, since you could use that on the Wii to view photos and videos. I'm hoping for continued improvements, but when I see them talking about HDD to HDD transfer (which, I'm sure is a small, small, small percentage of Wii U users) features, while not addressing the freezing issue/hard reset issue, which is a potential problem for every Wii U owner, it's just odd.